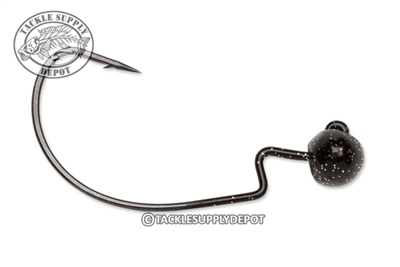 The Finesse Rugby Jig has an offset point and a recessed 90 degree eye on a wide gap hook. It has an attractive side-to-side and rolling action that fish love! This jig is ideal for finesse shaky techniques. Ike approved by 2003 Bassmaster Classic Champion, Michael Iaconelli; the Finesse Rugby Jig Head offers a bite sized attraction that is ideal for when the bite gets tough. My order was processed and delivered promptly. The Jigs are exactly what I wanted.